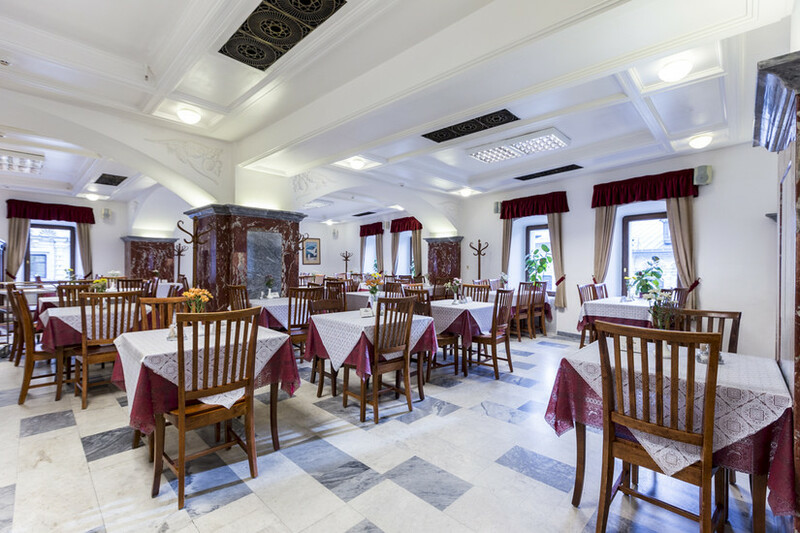 Russia's love affair with retro lives on at this inexpensive Soviet-style cafeteria. 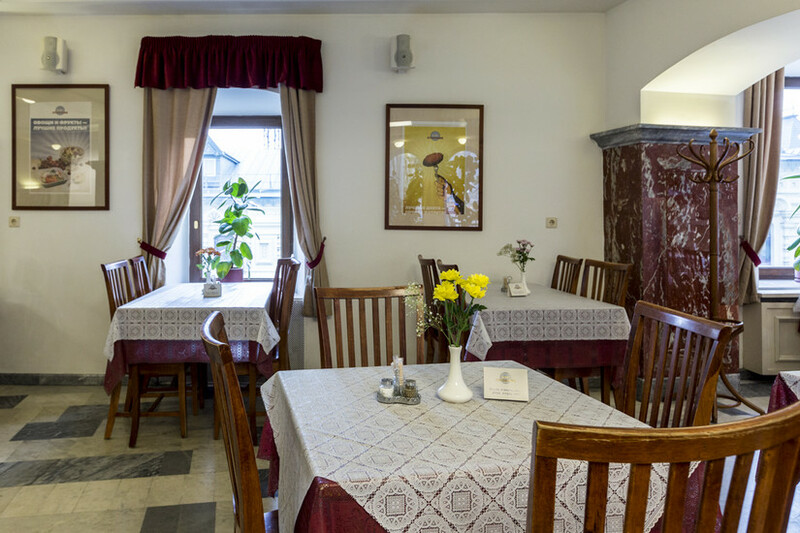 In quite a surprising location, meshed between GUM's designer boutiques, this quaint little nook provides all the classics of Russian cafe dining. 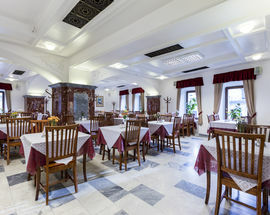 Meat cutlets, beef stroganoff and olivier and vinegret salads are among the most popular as is selyodka pod shuboi (pickled herring and beetroot). All are great choices for mayonnaise lovers. 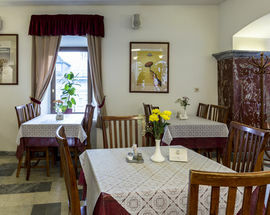 The cafe also makes sandwiches and has good soups. Eating at Stolovaya now - food is solid hearty and reasonable. Lunch with a drink and dessert ran us about 800 p for 2 people. The danger of stolovaya 57 is too many people discovering it. 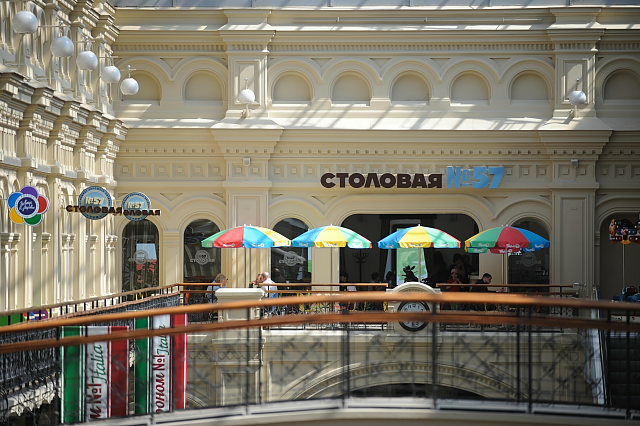 Meat lovers will delight in a number of meaty treats, particularly the pork chop and the Pozharsky cutlets. Almost all the main courses and soups contain meat, but vegtarians will not be left out in the cold. A range of chilled salads, cheese curd products and generous portions of tasty side dishes will no doubt be filling. Everyone should try (at least once) the mushroom Julienne. Among the Stolovaya's offerings, this is possibly the hottest seller. Followed closely by the king of soups, the Solyanka. (served on tuesdays).The average price indicated is correct. From my experience a meal of selyodka with onion, julienne, pork chop with potato side-dish and sauce, solyanka, 2 pieces of black bread and a glass of kompot came out in the range of 300-350 roubles. In central Moscow, this price is a third of what you'd pay for a much smaller meal in a run-of-the-mill restaurant. Drawbacks: it's popular, and some customers leave their belongings at the tables before standing in the line, meaning you oftentimes have to look for a table outside the cafe area during holidays. 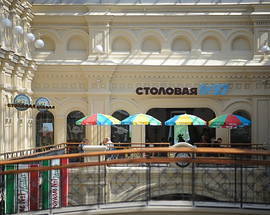 Beer choice is limited, and they lack either Baltika or Ochakovskoe, which I repute as Russia's good lagers.They may consider introducing another Soviet eatery characteristic: some standing tables. 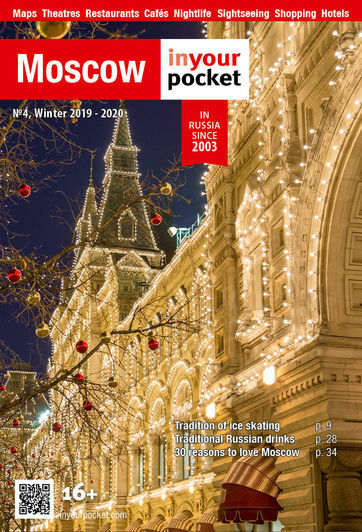 The increased space efficiency would be welcomed by many.In a Moscow all too full of restaurants that fleece you for no good reason, Stolovaya 57 is a beacon of shining light. Hopefully they'll make a chain of it.